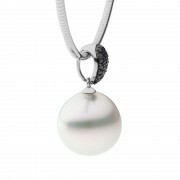 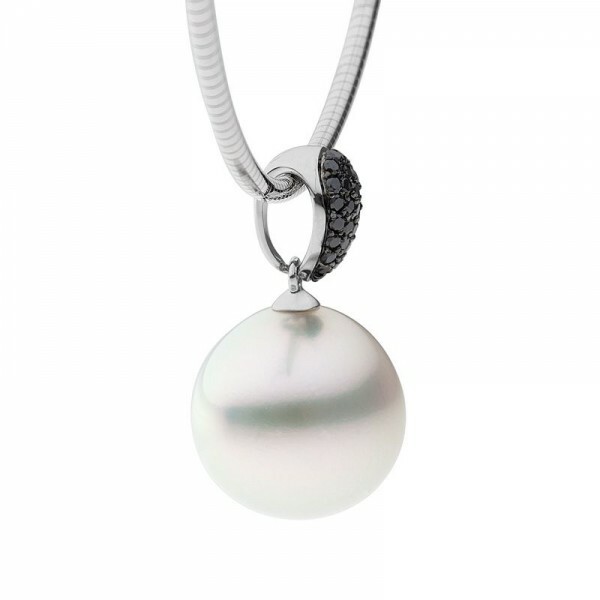 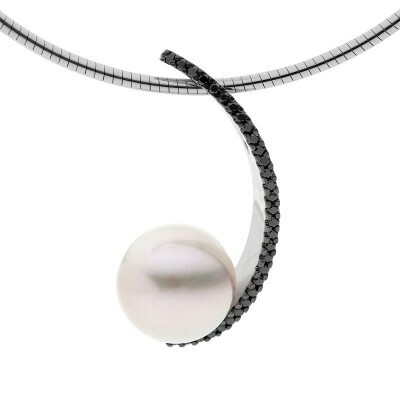 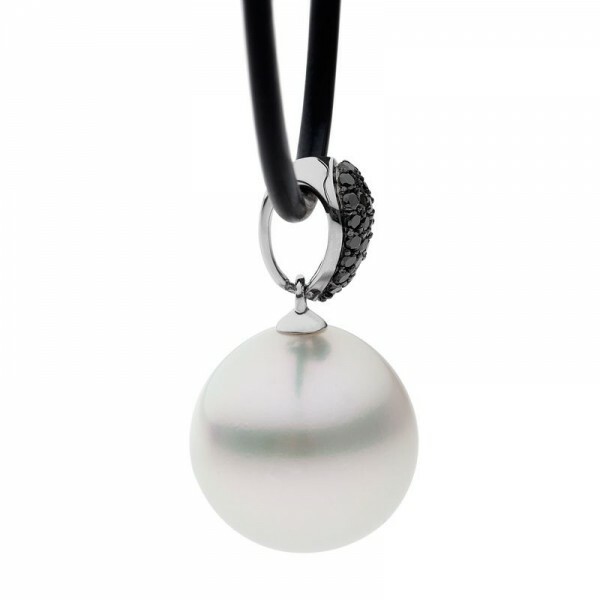 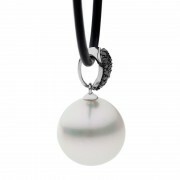 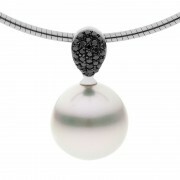 Step out in style with the sophisticated glam of black diamonds in this dramatic South Sea pearl pendant. 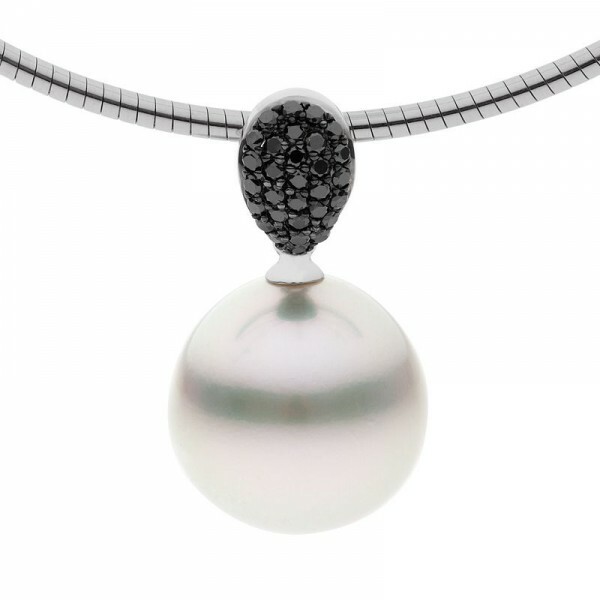 The gentle shape of the ‘Grace’ design is given an extra lift with the striking black finish of black diamonds and black rhodium. 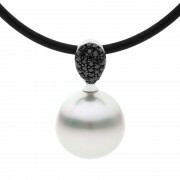 This pendant looks great on a black neoprene necklace or a fine, sparkling white gold chain. 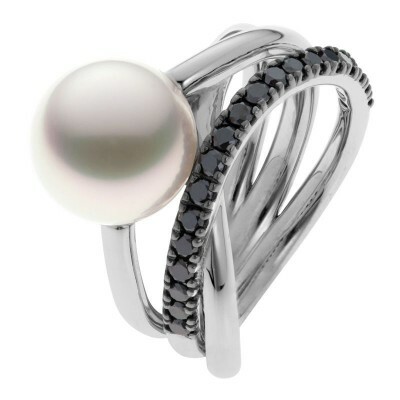 Make your statement with the glamour of black diamonds.